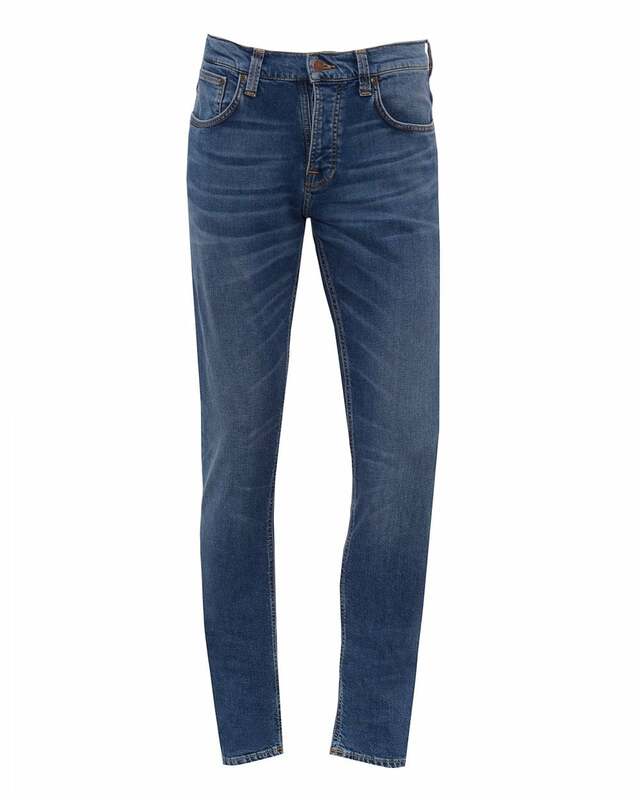 A pair of light whiskered jeans with contrast stitching and stretch fabric from Swedish denim brand Nudie Jeans. Cut for a slim fit, these jeans are a staple piece in any casual wardrobe. Match with a Sunspel t-shirt and Veja trainers for a vintage casual style.